With permission, The Beacon is archiving past issues of Matthews Record (also called Matthews News and Record and The Matthews Record) articles online. Throwback Thursday articles will include relevant content still facing Matthews today. 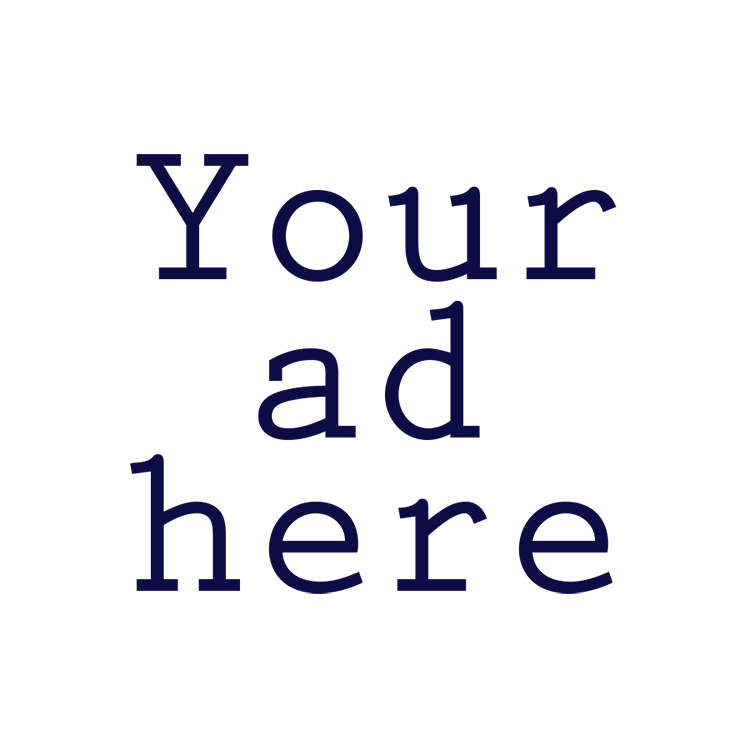 This story was originally published September 27, 2007 and was written by Janet Denk. Layout and graphics created by Jim Denk. 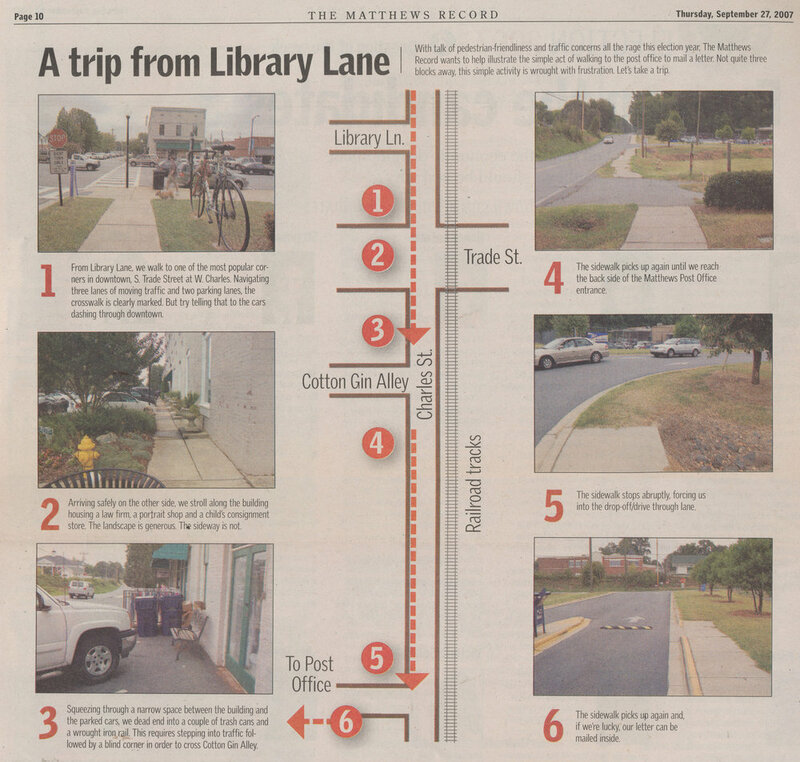 With talk of pedestrian-friendliness and traffic concerns all the rage this election year, The Matthews Record wants to help illustrate the simple act of walking to the post office to mail a letter. Not quite three blocks away, this simple act is wrought with frustration. Let’s take a walk. From Library Lane, we walk to one of the most popular corners in downtown, S. Trade Street at W. Charles. Navigating three lanes of moving traffic and two parking lanes, the crosswalk is clearly marked. But try telling that to the cars dashing through downtown. Arriving safely on the other side, we stroll along the building housing a law firm, a portrait shop, and a child’s consignment store. The landscape is generous, the sidewalk is not. Squeezing through a narrow space between the building and the parked cars, we dead end into a couple of trash cans and a wrought iron rail. This requires stepping into traffic followed by a blind corner in order to cross Cotton Gin Alley. The sidewalk picks up again until we reach the back side of the Matthews Post Office entrance. The sidewalk stops abruptly, forcing us into the drop-off/drive through lane. The sidewalk picks up again and, if we’re lucky, our letter can be mailed inside.